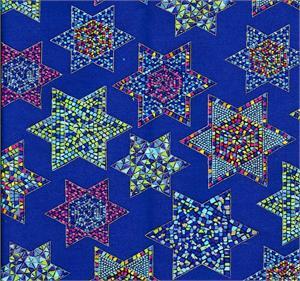 Our most exquisite star of David fabric. 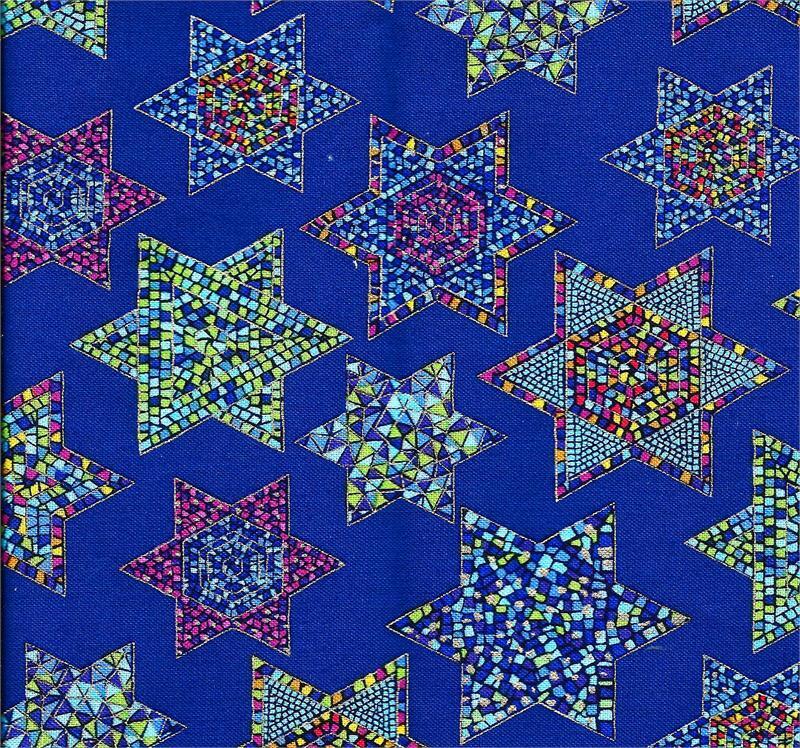 Each mosaic star is colorful and elegant. Each star is finished with a very thin gold metallic line and has thin gold running through the star. There are stars that have a 1.5 " diameter and others that have a 2" diameter. Fabric is 100% cotton and 57" wide which is like getting 1/4 more fabric. Wide enough to make tablecloths Price is per yard. PLEASE DOUBLE CLICK ON THE IMAGE See drop down box to select quantity. Total number of yards ordered will be sent in one uncut piece.